I'm a big fan of false lashes. I just love the dramatic effect they can give your eye makeup, you can literally have the most minimal eye makeup on and with a set of falsies it makes it look as if you've spent hours on it. I've been trying out these Threads falsies * over the past month or so and I've really enjoyed them! When it comes to falsies that I like I will wear them to absolute death and it's safe to say that it may be time to order some sets for myself as both pairs are on their last legs. Like I said I've been wearing these the past month every day for work and they are definitely the longest lasting lashes I've tried. Starting with the first pair of lashes Charleston*. These are super pretty on and give you a very natural long lash look without being dramatic or too in your face. This kind of style of lashes were definitely new to me as I tend to go for something a little more dramatic. However I did really like wearing these when I was wearing very light makeup, they would be perfect for that everyday Spring look as they're fluttery and natural looking. The band on the lashes is thin however not invisible so you do have to do a pretty good job of getting it as close to your lash line or wear liner. I will admit this is something I wasn't crazy about, as I've used lashes that have almost an invisible band to them and it just makes life so much easier for everyone. However a little bit of eyeliner would sort out this problem for me however it may not be as neat as usual when I have to do my makeup at 3am for work! The Rock Chic Lashes* are definitely my favourite out of the two. 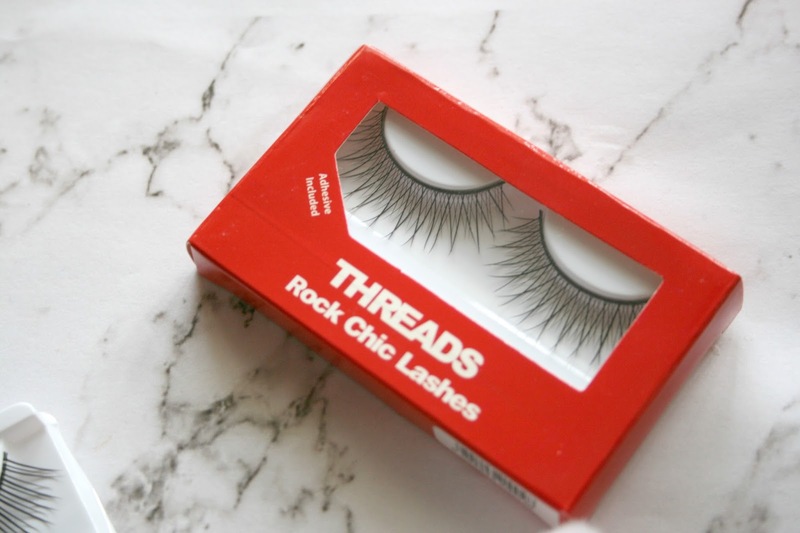 They are right up my street and they are just such a gorgeous style of lash. The lashes cross over each other causing a dramatic look and makes it look like you have fabulous lashes. Although there is some drama to them another thing I really liked is that when they're on they still aren't too in your face or ridiculously long! Out of both pairs these definitely now look the worse from over wearing them, this is definitely the kind of style of lash that I would buy again. 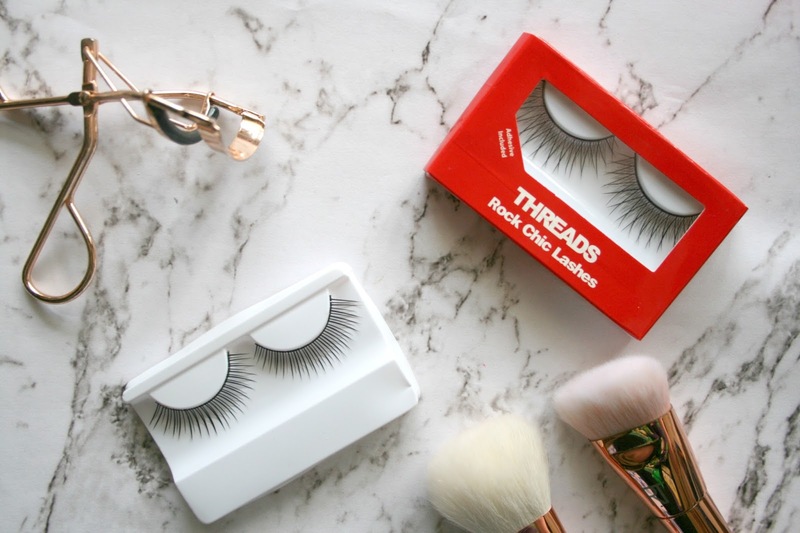 Threads also include a small bottle of lash adhesive with every pair of lashes you buy and I must say I really liked the adhesive. It would go tacky after a few seconds and once you stuck the lashes to your lash line it wasn't budging until you pulled them off. I often find some brands that include adhesive it's dreadful and barely works but I would honestly buy a full size tube of the Threads adhesive if I could. I really loved wearing both sets of lashes and they would be definitely a brand I would treat myself too in the future. 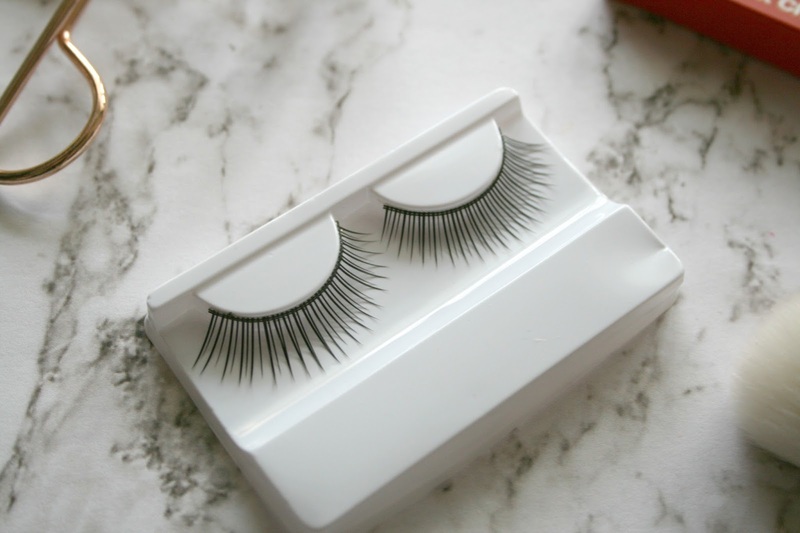 Of course they have lots of different lash styles to suit your preference so make sure you have a look here! Each retail for £9 which I think is quite good considering how long each pair of mine lasted. Do you like to wear false lashes?